What’s a barbecue or picnic without a few flies, right? Wrong. The flies you nonchalantly swat from your burger and cole slaw can make you sick. These flies, known as filth flies, make a living off animal feces and garbage. Flies pick up all manner of nasty bacteria, then transport the disease-causing organisms right to your food. Take a few measures to control flies in your backyard and your home, and you’ll be healthier for it. Filth flies carry disease-causing organisms and can be a threat to public health. 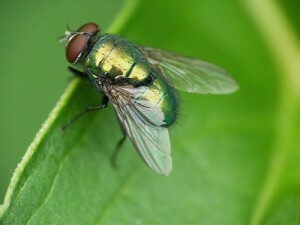 These flies breed in bacteria-laden environments, such as feces, carrion, and human food waste, often in close proximity to humans or domesticated animals. Filth flies include some of our most common fly pests — house flies, fruit flies, green bottle flies, stable flies, and several others. There’s nothing a filth fly likes less than proper sanitation. Adult flies need a place to lay their eggs, and a clean home and yard just won’t appeal to mama fly. Here’s how to keep flies from breeding in or near your home. 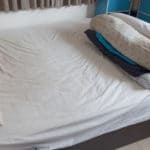 Clean up all pet and animal feces promptly. Any fresh, moist animal feces will draw flies. To keep flies from breeding in your dog’s doo-doo, either bury it immediately or use a pooper scooper and plastic bag to remove and seal the feces. Place the bagged waste in a lidded garbage can. If you save kitchen waste for your compost heap, add some sawdust to your scrap bin to help absorb moisture and odors that might attract flies. If your compost pile does not heat up sufficiently, those kitchen scraps may attract breeding flies. Turn your compost pile regularly, and don’t put meats or animal waste in your compost bin. Garbage cans and dumpsters are favorite breeding areas for flies. You can significantly reduce fly populations by keeping lids tightly closed on your trash cans, and making sure the cans have no holes. All garbage within the can should be bagged and tied closed. Don’t forget to put your garbage out for collection regularly. It’s not a bad idea to scrub out your cans now and then, to remove any food or pet waste residue. Indoors, take care not to overwater your houseplants. Prune and discard of any dying plant parts. 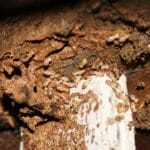 Fungus gnat larvae feed on fungi that develops in moist soils and on decaying plant matter. Sticky fly paper does work, but is most useful when fly populations are low. If you’ve followed all the steps to limit breeding sites, hanging a few sticky fly paper traps will do the trick on the few that wander into your home. Still, you might not like having a ribbon of dead flies hanging from your ceiling. 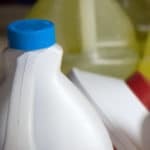 Proper sanitation is the best way to keep flies to a minimum, but if these tips are not enough to keep you summer season fly free, then a pest control professional might be your best choice.Green Pest Solutions is a recognized leader in the pest management industry in the Philadelphia and the surrounding areas. 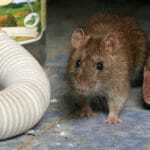 We offer the best in fly, mice, rat , rodent, pest and termite control services using traditional treatment methods and green products. Article originally posted here. Written by Debbie Hadley.